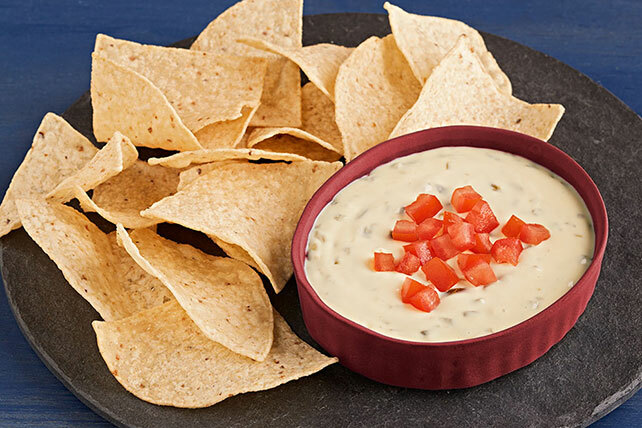 Bring out a new party favorite with this Creamy White Queso Dip. This white queso dip gets a kick from jalapeños while sour cream adds a creamy touch. Microwave on HIGH 2 min. ; stir. Microwave additional 1 min. or until VELVEETA is completely melted and mixture is well blended, stirring every 30 sec. Top with chopped tomatoes. Serve with chips. Garnish with a sprinkle of finely chopped cilantro before serving. Serve with fresh chopped vegetables.